The 'Jupiter' and other ships at anchor, May 1672? 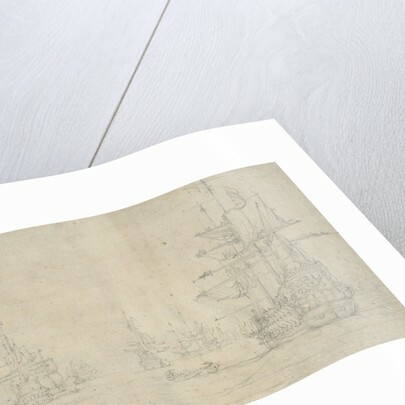 Product images of The 'Jupiter' and other ships at anchor, May 1672? On the right, identified from the picture on the tafferel of Jupiter riding on an eagle, is a port-quarter view of the 'Jupiter'. There are men on the yards furling the sails and the mizzen topsail is loosed. A pendant is at the mizzen. Topgallant yards are crossed, but the heads of the fore and main are cut off. A boat is shown pulling away from her and on the left is the fore part of a galjoot. In the background, sever ships of the same squadron are also furling their sails. 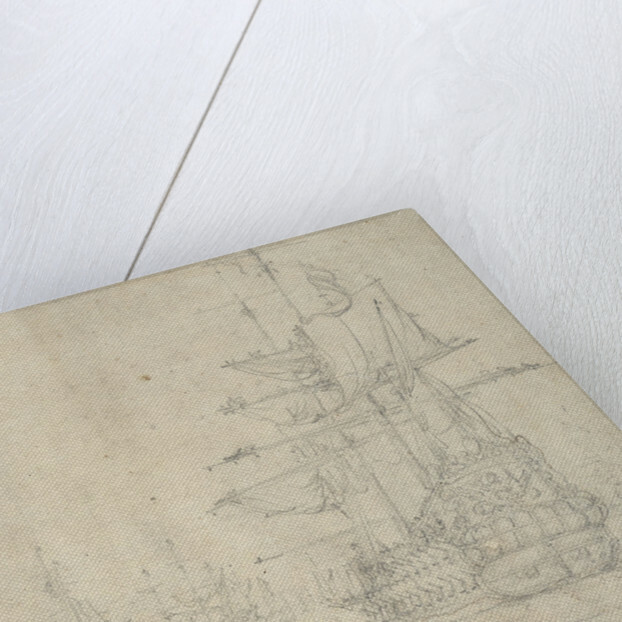 This is one of 12 drawings at the NMM which by the inscriptions on them and by the paper they are on appear to belong to a series done before the Battle of Solebay, 28 May 1672. 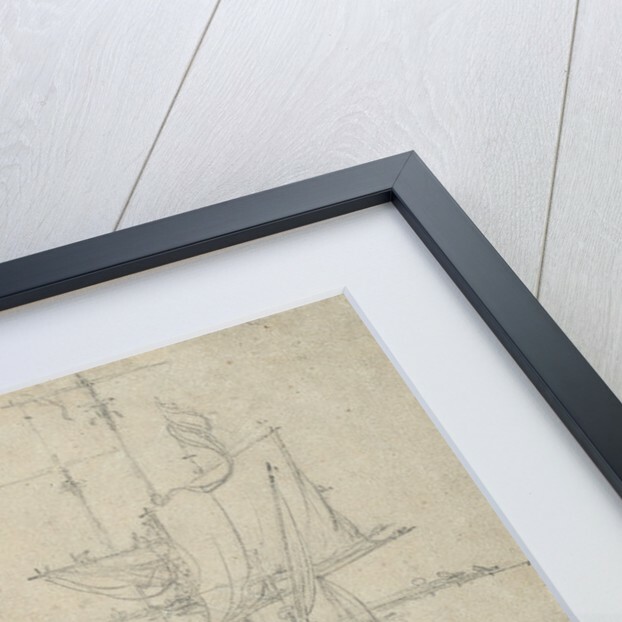 The only numbers traced in the NMM collection are 59 and 60. 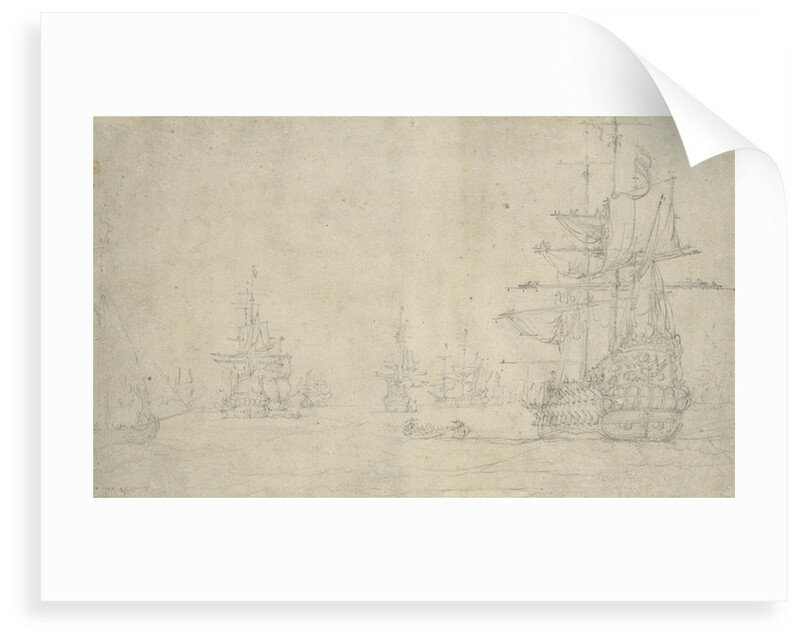 Other drawings made before the battle are in the British Museum and the Ashmolean Museum.